Thank you to Masterbooks/New Leaf Publishing Group for providing a copy for review. This post may contain affiliate links. 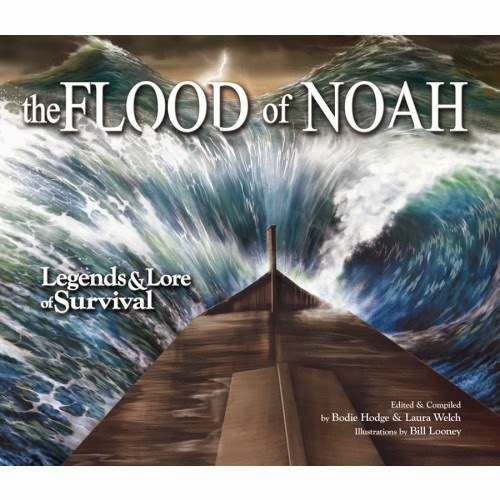 I was so excited when I received The Flood of Noah : Legends & Lore of Survival - edited & compiled by Bodie Hodge & Laura Welch (illustrations by Bill Looney). This is a very unique book. There is so much interaction which just makes it fun! There are mini-books, pull outs, flaps - along with beautiful illustrations. It really is a feast for the eyes! The book is all about Noah's Ark. As a Christian you might think you know all there is to know but I challenge you to read this book to see if that is true! Did you know there are over 200 flood legends from cultures all around the world? This book explores many of them and gives you the big picture of how there is so much evidence of the flood just based on all mankind's passing along of legends. Pretty amazing, right? The Biblical catastrophic judgment on mankind echoed in the flood legends that survive to this day! Cultural accounts of a wicked world, destroyed by a global flood, have been relegated to myth — even the history of Noah's ark revealed in the Bible. Yet, in every corner of the world, you find these legends of a vastly destructive, worldwide flood event. Similarities include: mankind is almost wiped out, some animals are chose for survival, a craft or other escape mechanism is provided for survival, and water covers everything. What are these legends, and what intriguing clues do they contain? What do they reveal about their possible common origin? 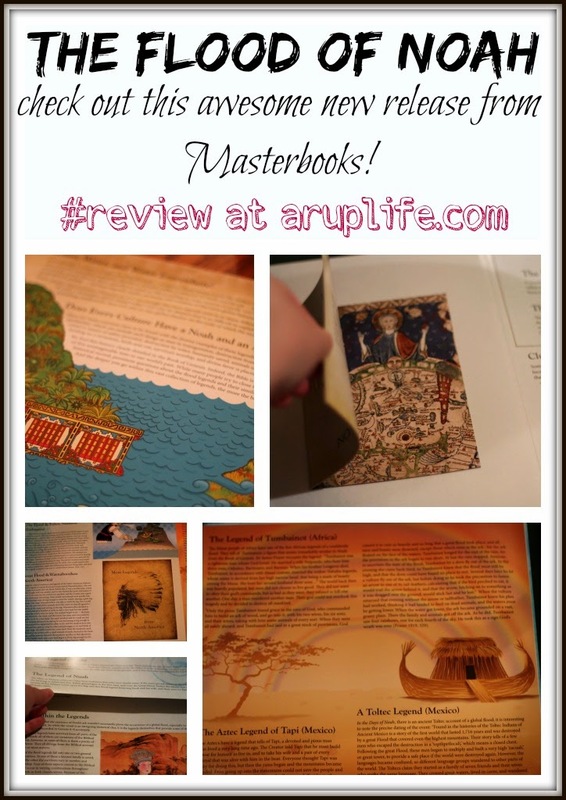 Exciting details presented with an interactive experience of flaps, mini-books, foldouts, and more! For over a hundred years, scientists have been dismissing the Bible as a reliable source of information — despite the civilizations discovered and history revealed that support the history God's Word contains. You can join the Masterbooks Mom Team on July 22 at 7pm (est) for our Facebook party! There will be tons of information on the book and giveaways! It is always a fun time! Be sure to visit NLPG.com for additional book information and to purchase your copy!